Just days after last weekend's Women's March, Insane Clown Posse has announced they're launching a march of their own. The group announced its Juggalo March on Washington today, a mass gathering protesting the FBI's classification of the Juggalos as a gang. 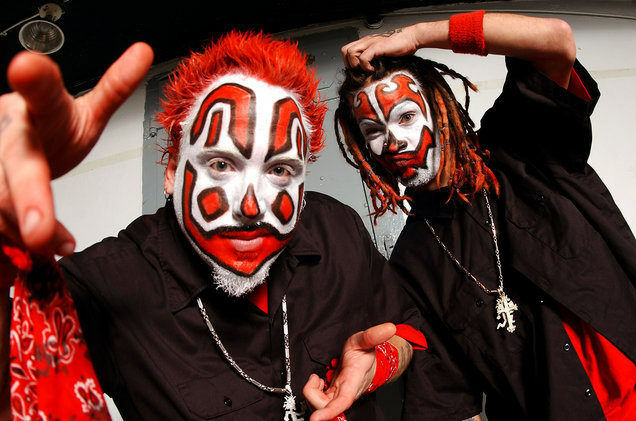 ICP explains the march, set for September 16 on the National Mall, as a chance to "make a collective statement from the Juggalo Family to the world about what we are and what we are not," adding "We are not a gang. We're a family." The event will also include a concert featuring 2 Live Crew, Vanilla Ice, Necro, and others at Bristow, Virginia's Jiffy Lube Amphitheater. Full details here.